Longfellow/LDI Apple Distinguished School Award! The School District of La Crosse is pleased to announce Longfellow Middle School has been recognized as an Apple Distinguished School for 2015–2017 for the unique implementation of its 1-to-1 iPad program and the faculty’s curriculum redesign to best leverage the technology in innovative and rigorous ways for classroom instruction. 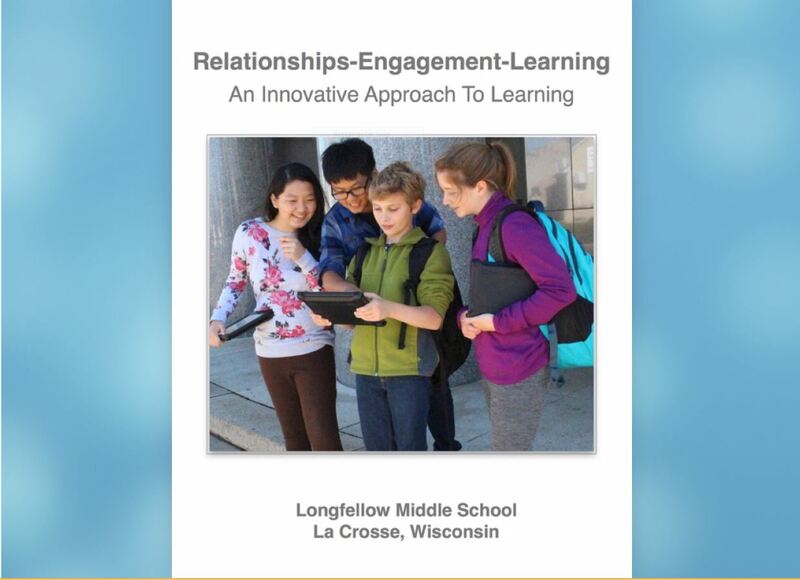 The recognition of Longfellow Middle School as an Apple Distinguished School highlights their success as an innovative and compelling learning environment that engages students and provides tangible evidence of academic accomplishment. Longfellow Middle School, known for its innovative educational practices, provides the highest quality education for learners. All students in grades 6 through 8 have 24/7 access to iPad for academic endeavors and use a variety of apps such as Keynote, iMovie, and Explain Everything to create content and share their success. Teachers work together to devise grade level instruction and redesign the curriculum using productivity apps, creating Multi-Touch books made with iBooks Author, and designing iTunes U courses for content distribution. 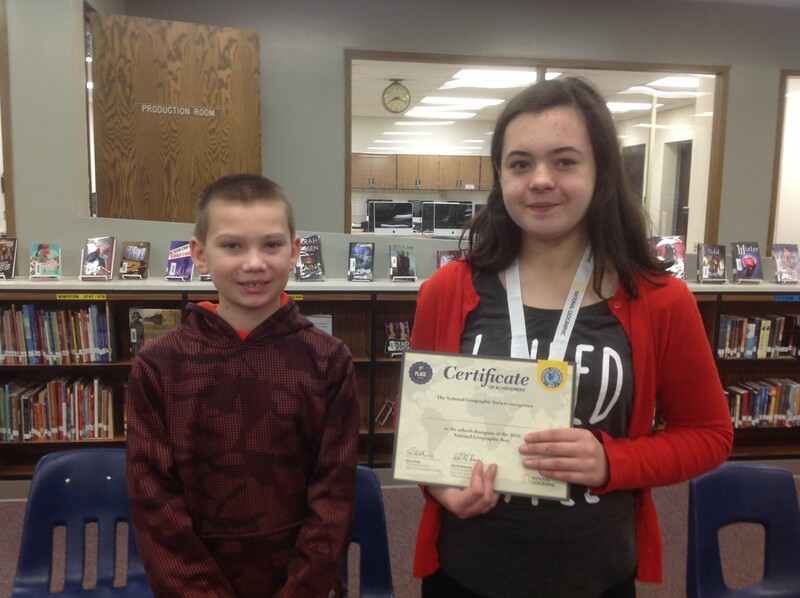 Congratulations to our Longfellow/LDI Geography Bee winner, Parker Blumentritt, and second place winner, Sam Fergot! 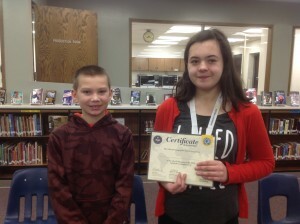 Parker competed via online for the state of Wisconsin Geogrpahy Bee the end of January. Congratulations to our Longfellow/LDI Spelling Bee winner, Sydney Heise! The second place winner and runner up was Ben Manske. Kiara Garves is Longfellow’s alternate. The Regional Spelling Bee will be held on February 16th in West Salem. 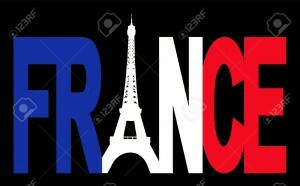 Congratulations to our Longfellow/LDI Middle School students who participated in the French Speaking Contest recently. 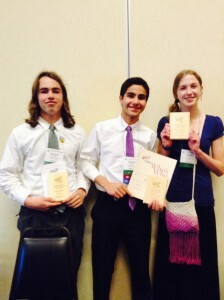 Three Longfellow/LDI students will advance to the state level competition on May 14th! Congratulations and Good Luck to Emily Martell, Claire Ivens and Hans Ebert! 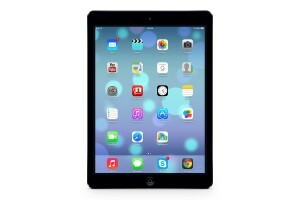 Parents were recently notified by email, Family Access and by regular mail for those parents who do not have email access, of changes to the student iPad proxy filtering while away from school. The changes took place on October 30, 2015. These changes were made because the current proxy filtering creates significant interference with learning activities both at school and away from school. Mandatory Homework Club has now begun at Longfellow/LDI. Students attend who are not completing his or her homework and have already received three lunch detentions for the missing work. Please click on the link below for more information regarding this program. As the School District of la Crosse continues to move towards additional access through Family Access, families now have to ability to update their own phone numbers, email addresses, emergency contacts, doctor, dentist, and hospital information throughout the school year. Parents will also have the ability to update their address. Please click on the link below for directions. Please call the Longfellow/LDI office at 608-789-7670 if you have any questions or need your Family Access login and/or password. We have begun the course registration process for current 8th graders who will be going to either Logan or Central HS next year. Please see the information below, click on the links and call the Longfellow/LDI school office for more information. 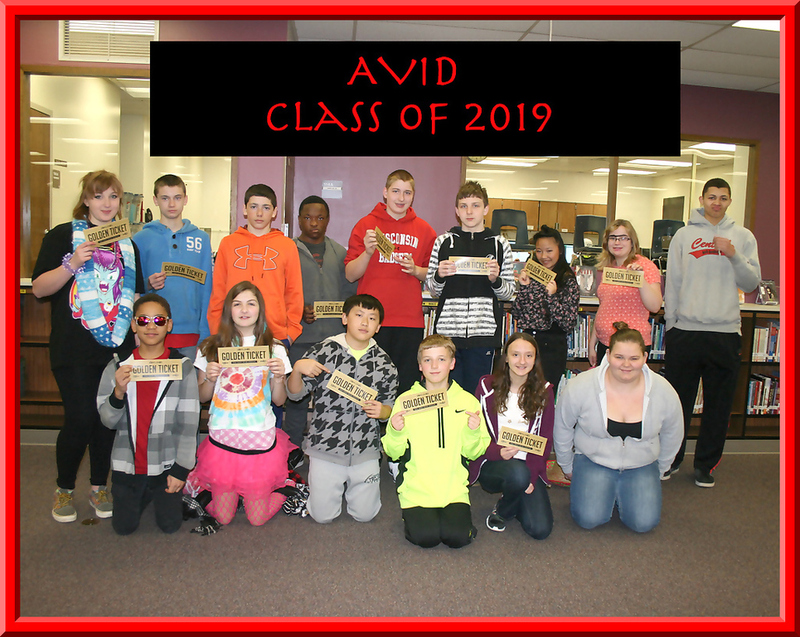 NOTE: If parents need to make changes to course registration forms after attending the curriculum fair, please contact the Longfellow/LDI guidance counselors, Lee Stahl, 608-789-3557, or Stephanie Greenwold, 608-789-3523. For more information regarding the courses offered at Central and Logan, please the course guides below. Odyssey Pod 8th Graders enjoy learning from Chinese Exchange Teacher, Linda! Longfellow/LDI’s Future Business Leaders of American (FBLA) members competed in the State Leadership Conference the in April at Stoney Creek Inn in Onalaska. Students attended workshops and competed in business events. Ahmad Jandal, Connor Iverson, Claire Ivens in the Website Creation event and Connor in Internet Safety. 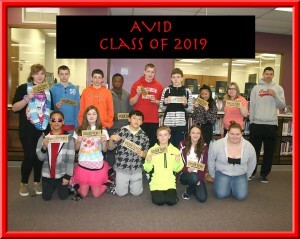 We are very proud of their accomplisments! Click on the links above to take you to the appropriate area. 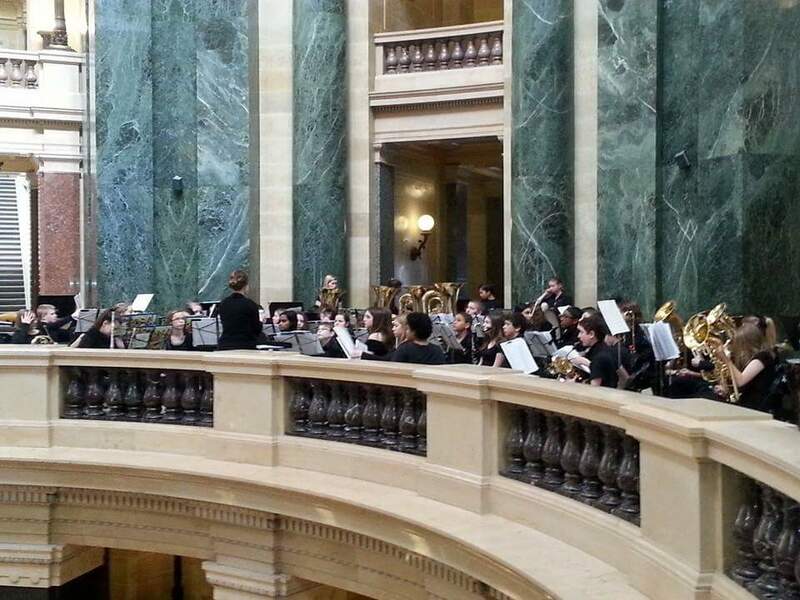 The Longfellow/LDI 8th Grade Band was invited to play at the Wisconsin State Capitol on March 19, 2015. What an honor! 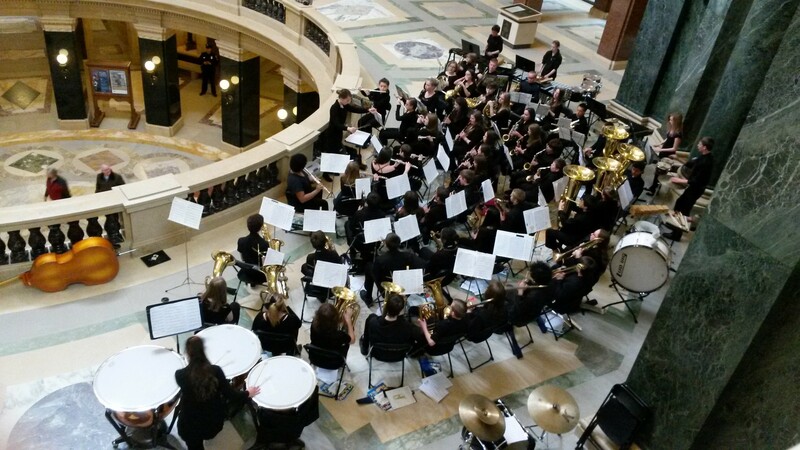 The Longfellow/LDI band did an awesome job! 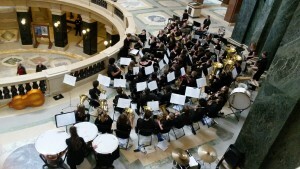 We are very proud of each member and their dedication to the band. 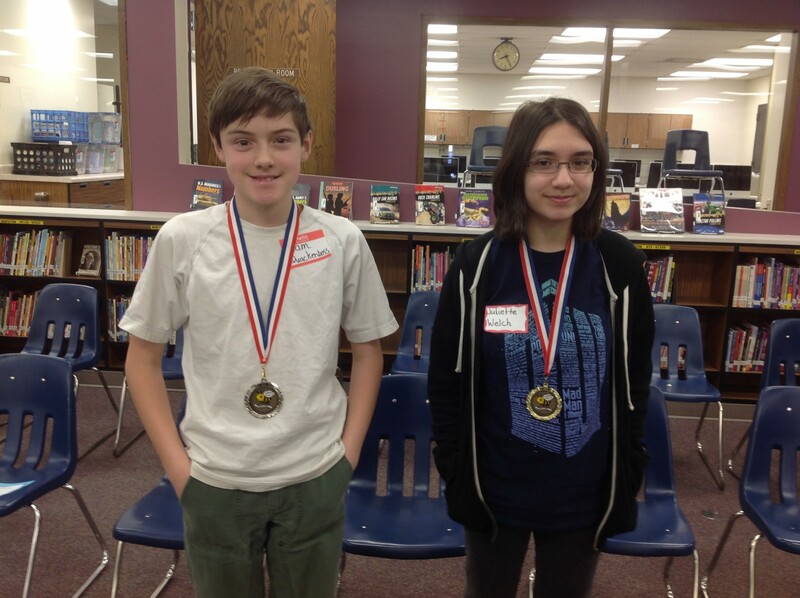 Congratulations to our Spelling Bee Winners, Juliette Welch and Sam Quackenboss! 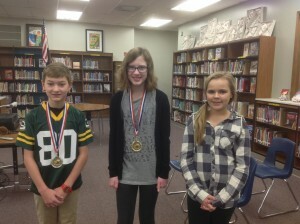 They will participate in the Regional Spelling Bee in West Salem on February 4th. 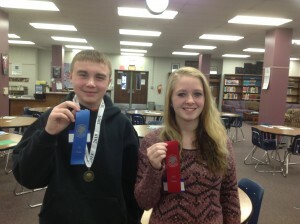 Congratulations to our Geography Bee Winners, Reece Vydrzal, and Runner Up, Lauren Ihle!